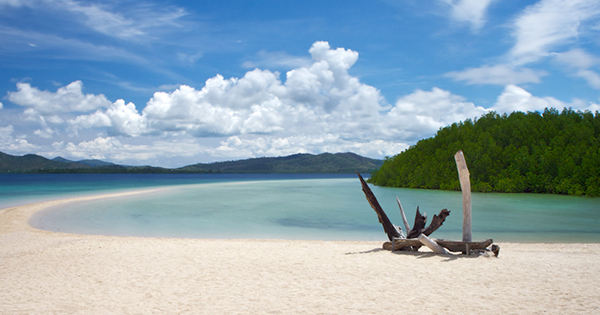 Honda Bay is located on the eastern shore of the island of Palawan near Puerto Princesa City in the Philippines. There are tons of other small surrounding islands that can be visited via the many local island-hopping tours. #1 - Starfish Island: If you have never seen and held real starfish in your life, then make Starfish Island your first stop in beautiful Honda Bay. Just ready some bread and you are set to feed these pretty orange starfish scattered all around the shore. To top it off, you can also bring your own gear and snorkel /scuba dive without fear around this stunning island so popular in Palawan! #2 - Pandan Island: upon findinag Nemo around Pandan Island, head onto its powdery white sand where you can sun bathe all you want! This is for all you adventurous island hoppers out there who also get the thrill out of snapping Go Pro photos, selfies in addition to groupies within such a lovely beach setting! #3 - Luli Island: visible at low-tide, and invisible at high-tide, famous Luli Island is also a must-visit attraction in Honda Bay, Palawan! Since Luli Island has more sand than all the rest, relaxation and swimming here are the best. So go ahead and bask under the mostly sunny skies there with your lover, travel buddies or better yet with your entire family! #4 - Cowrie Island: gives you the most adrenaline pumping activities that include jet skiing, kayaking, banana boat riding, and fun fish feeding. As if these are not enough to wow all guests, Cowrie Island also provides the best buffet lunch full of authentic Filipino dishes that are oh-so - delicious! Albeit small in size, Cowrie Island can get really packed with tourists for its clear waters, white sand, yummy coconut juice – all in all, a charming beach to have a ball!